National Scrapbook Day is celebrated on the first Saturday in May which is this coming Saturday. In honor of the occasion, I am teaching a squash book class. A squash is a mini album; it's 4x4", perfect for holding up to 4 photos (or fewer photos with room for journaling). This is a perfect way to capture a special day or occasion--first tooth, a special birthday, visit, party, or someone you want to celebrate! RSVP needed by Friday afternoon. 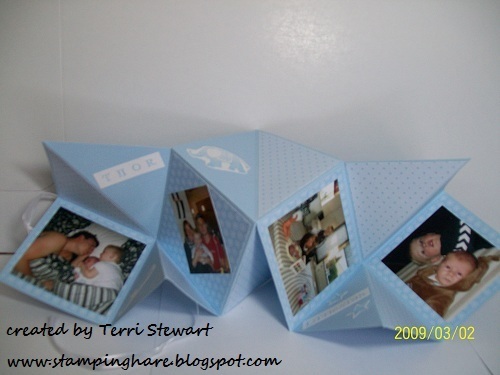 No stamping or scrapbook experience needed. Wondering what a squash book looks likes like? 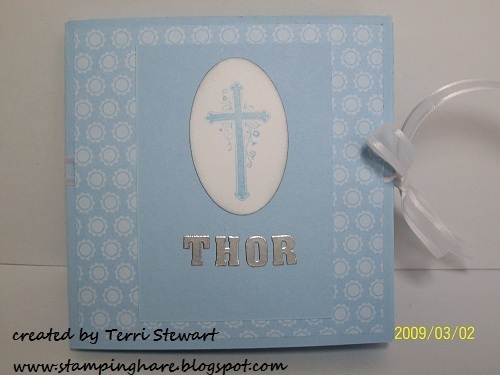 Here are photos of a squash book I made a few years ago to commerate a baptism. REMINDERS: Today (April 30th) is the last day to order from the Occasions Mini catalog; click here to shop now. The new yearly catalog begins on June 1st; stamps and accessories that are retiring can be found here; remember supplies are limited so don't delay, shop now before they are gone! 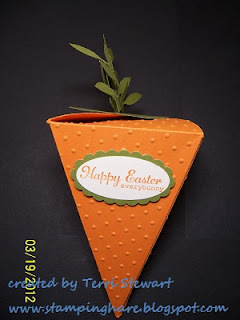 Last month, I showed my monthly stamping club how to make a carrot from Stampin Up's Petal Cone die. 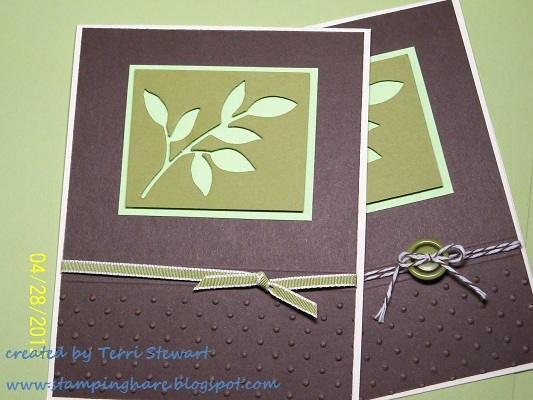 We made the carrot top with die cuts using Stampin Up's Little Leaves sizzlit die. Low and behold, I found a card that used the negative of the little leaves as focal piece. Not only are these recycled "green" cards, they also use 2 green colors--certainly celery and old olive. How green is that! I made the cards in 2 versions--one tied with SU 1/8" Old Olive ribbon, the other used SU baker's twine in early espresso. I like the ribbon version better. Which do you prefer? 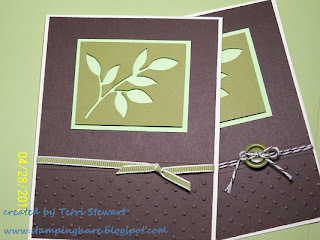 These cards were inspired by Anne Eicher's card posted on Mary Fish's website, stampinpretty. If you live in the Baltimore-Annapolis-Washington metro area and want to make some fun projects, give me a call or send me an email. I'd be happy to add you to my newletters which contain my class schedules and monthly hostess club information. 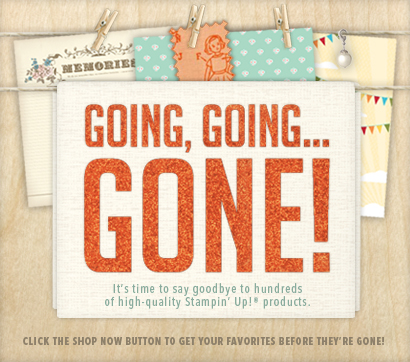 Retiring Stampin Up Accessories--supplies are limited! 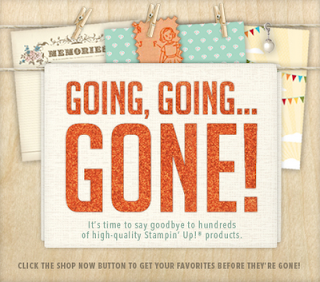 Stampin Up has announced the list of accessories that are retiring out of the catalog. The catalog is undergoing a major renovation which means the llist of retiring items is extra long and many of them are even on sale! Supplies are limited and the items will not be available after May 31st, so don't wait to place your order, do it today! Orders can be placed directly from my online shop, on a workshop order, or on an individual order through me. Ink pads are changing. The ink pad cartridge will remain the same but the ink pad inside will now be a firm foam style instead of the previous hard felt pad; the firm foam pads offer better coverage and other benefits. Therefore, many ink pads are on the retiring list because of the change. The current mini catalog expires on April 30th; click here to take a look. The next mini will be out on August 1st and run through the end of the year. The new mini catalogs will be bigger---more pages, more seasonal items! The clearance rack has been re-stocked with new items---many current punches in the old lever style are on sale. The clearance items can only be purchased online. click here to see what's on sale. Clearance rack items are available in limited quantities; if you find a great bargain, don't delay because it may sell out soon (this is the voice of experience!). 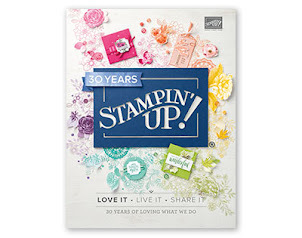 For April, Stampin Up is offering a sneak preview sale of several items from the new 2012-2013 catalog. The promotion is called Summer Smooches. There are 9 preview products available for sale only during April (2 of the products won't be available in the new catalog--the fabric brads and the stencil will only be sold during APRIL). Click to take a look at the Summer Smooches. A quick reminder....the next monthly hostess stamp club meets this Tuesday, April 17th at 7pm. There is one seat left this month; the cost is $10 or the class is free with a $25 order. The club is making 3 projects --a mother's day card featuring the labels Framelits, a masculine birthday featuring Well Worn Designer Series Paper (DSP), and a small notepad featuring the Summer Smooches DSP. Call or email me today to reserve your spot!